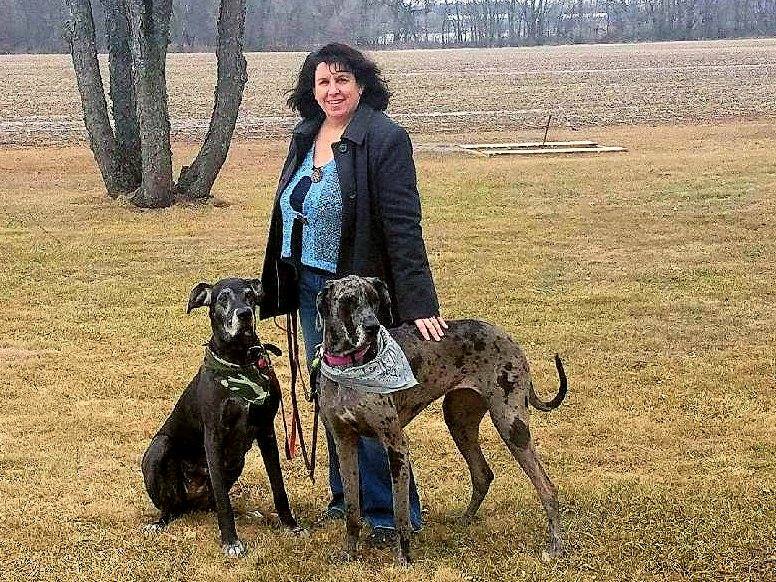 BELOIT – Jim and Tricia Goecks from Off-Kilter Brewing will host a fundraiser for Upper Midwest Great Dane Rescue at Grand Avenue Pub in Beloit on March 3 from 5 - p.m. When Jim and Tricia Goecks decided to adopt another dog, Jim Goecks suggested they adopt a Great Dane. The couple quickly focused their search with Upper Midwest Great Dane Rescue in Eagan, Minnesota. “We were impressed with the efforts of this group not only to place Great Danes in their forever homes and raise awareness for the breed, but also their efforts to rehabilitate abused and neglected Great Danes,” Goecks said. “Some of the dogs they receive have special needs such as deafness, blindness, or are underweight.” Great Danes require 6 – 14 cups of food per day. The couple travelled to Minnesota to adopt a 2-year old Great Dane named Bella. She epitomized the breed description of being a “Velcro dog” as she insisted on touching her new family during the entire 7 hour journey home. "She was the perfect dog," Jim Goecks said. The family has since added two Great Danes to their pack. They adopted a blue merle named Maia and a black senior Dane named Chance. After several months of training, Chance offered her paw in exchange for a treat. “It took a long time but she proved an old dog can learn new tricks,” Goecks laughed. Grand Avenue Pub is located at 132 W. Grand in Beloit. Upper Midwest Great Dane Rescue places dogs in Wisconsin, Minnesota, Iowa, North Dakota and South Dakota.